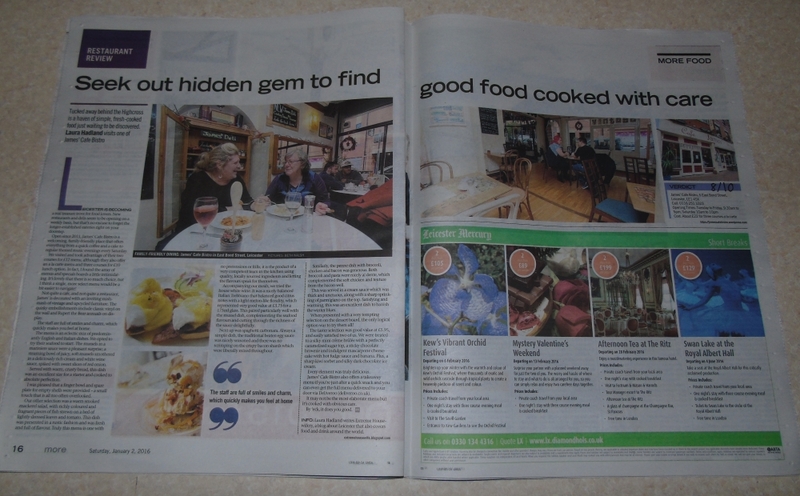 Well, today’s the day I’ve got my first restaurant review published in the local newspaper. I’m feeling very pleased with myself and it’s great to know that the things I love writing about on this blog are starting to spill into the real world more and more. Just need to find myself more places to review food and wine now!! Me too Kirstie! Good luck with the new blog! That's so exciting Laura! Hope more is to come! Thanks Charlotte – I'm really happy with how it came out. James' is definitely worth checking out by the way! !